The Coachella music festival kicked off in Indio, California this week, with iconic pop star Lady Gaga delivering a headlining performance on Saturday night. The pop star will remain at the festival throughout this week, with the singer filming scenes for a remake of A Star Is Born alongside her co-star Bradley Cooper, who makes his directorial debut on the project. Production has started today on the remake, and if you're at Coachella this week, you can be a part of the action as an extra, while helping to support a worthy cause. Warner Bros. has also released the first official photo from A Star Is Born, featuring both Bradley Cooper and Lady Gaga. Warner Bros. revealed on Twitter that fans can sign up to be an extra at AEG Festival Ticketing, with tickets costing $10. All proceeds will go directly to Lady Gaga's Born This Way Foundation, with the Coachella shoot happening on Tuesday, April 18 and Wednesday, April 19 at the Empire Polo Club (81800 Avenue 51, Indio, CA 92201) with gates opening at 11 AM each day. The film marks Lady Gaga's first major film role, although she did have a brief cameo in Sin City: A Dame to Kill For and appeared as herself in Muppets Most Wanted. Here's a description of the shoot from the ticketing website. "We are happy to have you join us for A Star is Born! Be in the audience as Bradley Cooper and Lady Gaga films scenes on the actual Coachella stages. Help cheer and applaud their performances on camera. The scenes for these days will portray a Country Western music concert. All you Monsters that can attend should get decked out in your most comfortable denim & boots, throw on a Stetson (leave those pink Joanne hats at home) and come out to show your support! Tickets are just $10, with all proceeds going directly to the Born This Way Foundation. Maximum 8 Tickets per person, and you must be 18 or older to attend. Cell Phones will be locked in a Yondr Pouch so it will always be with you, but you won't be able to record photos or sound." Filming begins today on Warner Bros. Pictures' reimagining of the musical A Star is Born, starring Bradley Cooper and introducing Stefani Germanotta, known across the globe as Oscar-nominated music superstar Lady Gaga, in her first leading role in a major motion picture. Four-time Oscar nominee Bradley Cooper (American Sniper, American Hustle, Silver Linings Playbook) is helming the film, marking his directorial debut. 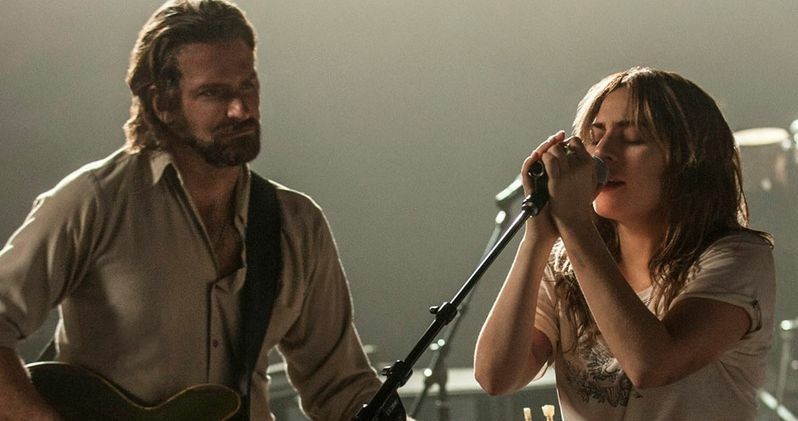 Cooper plays Jackson Maine, a country music star who is on the brink of decline when he discovers a talented unknown named Ally (Germanotta). As the two begin a passionate love affair, Jack coaxes Ally into the spotlight, catapulting her to stardom. But as Ally's career quickly eclipses his own, Jack finds it increasingly hard to handle his fading glory. In addition to playing Ally, Germanotta, who earned her Oscar nod for the song "Til It Happens to You" from "The Hunting Ground," has composed and will perform original songs in the film. The main cast also includes Andrew Dice Clay and Sam Elliott. A Star is Born is being produced by Bill Gerber, Jon Peters, Bradley Cooper, Todd Phillips and Lynette Howell Taylor; with Basil Iwanyk and Ravi Mehta serving as executive producers. The screenplay is by Will Fetters & Bradley Cooper and Eric Roth, based on a story by William A. Wellman and Robert Carson. The film was in development for many years, with stars such as Christian Bale, Beyonce, Leonardo DiCaprio and Tom Cruise once being eyed for the project at various points in development.